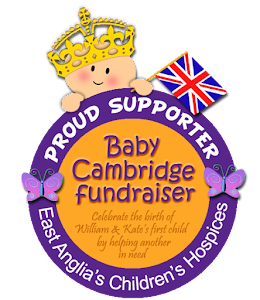 With the upcoming Royal tour of Australia and New Zealand in April, I thought it might be nice to have a look at possible jewelry options available for the Duchess of Cambridge to borrow from the Palace vaults! 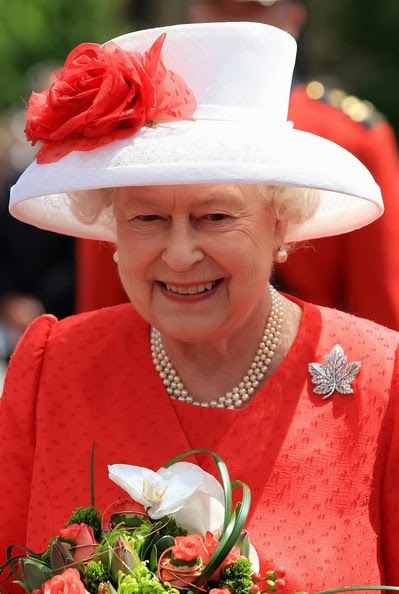 The Queen celebrated Canada Day in Ottawa, 1 July 2010, as part of her official visit to the country; she wore a red coat and dress and white hat with matching red trimming in the colours of the Canadian flag and finished off the look with the Maple Leaf brooch, made by Asprey Co. in 1939 for her mother and most recently lent to the Duchess of Cambridge for her own Canadian tour in the summer of 2011. Photo Zimbio. 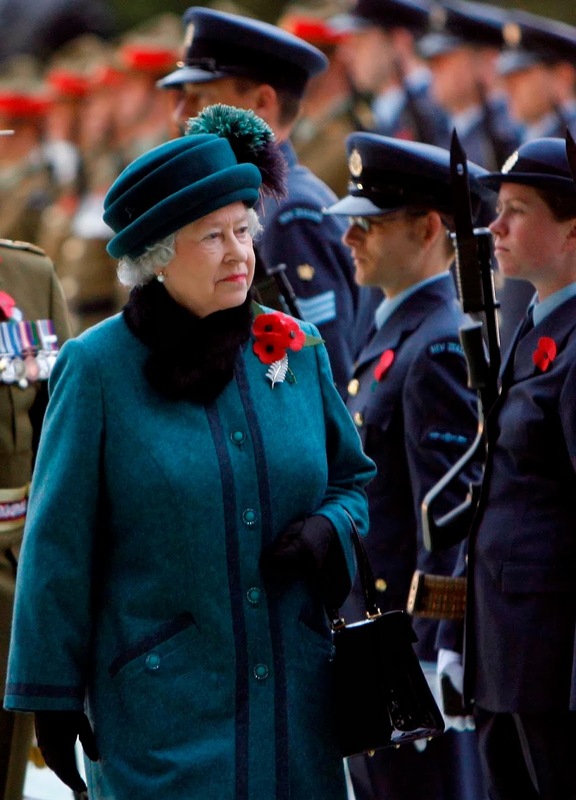 During a visit to the Republic of Ireland in May 2011 (the first ever from a reigning British monarch), the Queen wore a dress embroidered with thousands silk shamrocks and an Irish harp design made up of beads and crystals on her left shoulder. 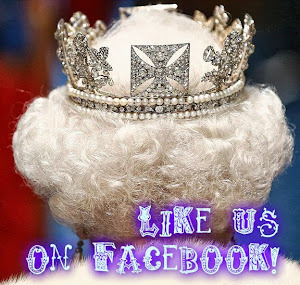 The whole look is perfectly rounded off with the aptly named Girls of Great Britain and Ireland tiara. Photo Express. No doubt we will see more of these sartorial skills displayed during the three and a half weeks of the Royal tour of Australia and New Zealand in April, but instead of looking at potential designers (there's of course material for speculation on the subject, a choice extremely likely to be considered is Duchess favourite New Zealander Emilia Wickstead), I'll bring you more details on jewelry options for the tour. 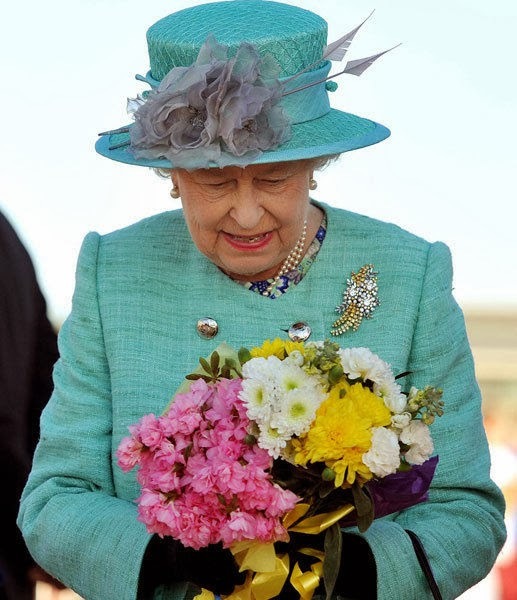 Let's begin with some proper, old-school bling and consider the real sparklers in the Queen's collection, and probable candidates for being loaned to the Duchess, the Australian Wattle brooch and the New Zealand Silver-Fern brooch. Both gifts to the present Queen during official visits to the two countries, they are large, stunning pieces. 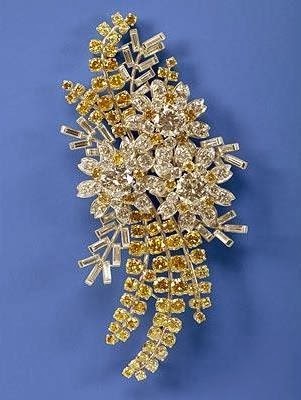 The Australian Wattle brooch in 1954 by Melbourne-based jewellers William Drummond Co.; it measure a very respectable 9 x 4.5 cm and is made up of clear and yellow diamonds mounted in platinum in the form of a sprig of golden wattle (Acacia pycnantha) with a spray of Australian tea tree blossom (Leptospermum laevigatum). I think it's a really poetic description for such a beautiful, delicate flower! (More on Australia's Wattle Day can be found on the Parliament of Australia website here). 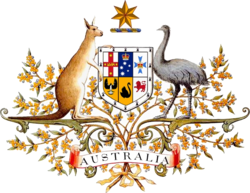 The brooch, which can be worn either way up, was originally presented to the Queen by the Prime Minister of Australia, Robert Menzies, at a state banquet in Canberra, on 16 February 1954, during the Queen's first visit to the country (and the first ever by a reigning monarch). It appears to be a well-loved piece, that the Queen has worn on many occasions since, not only when attending Australia-related events. The Queen in Kuala Lumpur, October 1989 (left, photo Getty) and upon arrival in Canberra in 2011 (right, photo Express). 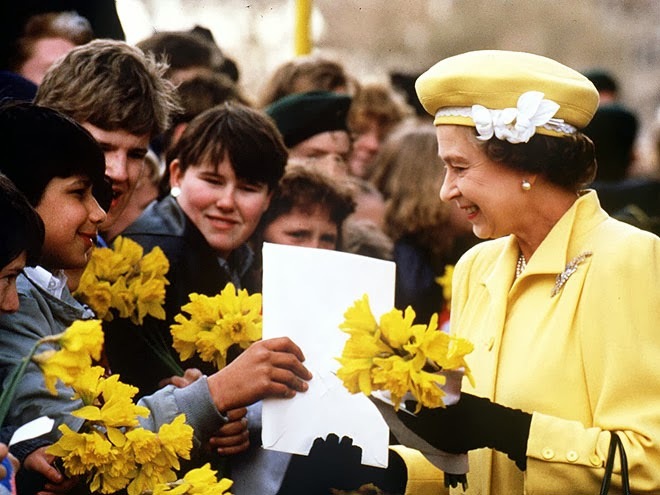 The Queen celebrating her 60th birthday in 1986 (photo People). 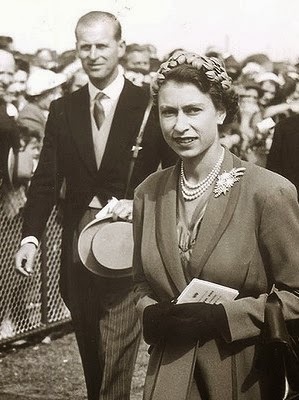 The Queen and Prince Philip in Melbourne in 1954, shortly after the brooch was presented to Her Majesty (photo Radical Royalist). 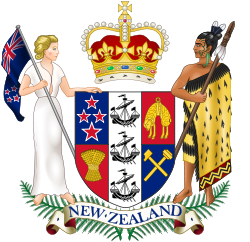 Moving on to the other destination of the tour, New Zealand, one obvious jewelry possibility would be the Queen's New Zealand Silver-Fern brooch. Another substantial piece, measuring 7.3 x. 3 cm, it is made of platinum set with brilliant and baguette-cut diamonds in the shape of one of the most widely recognized emblems of New Zealand, silver fern (Cyathea dealbata), which features on the coat of arms of the country (as does wattle on the Australian coat of arms). The Queen was presented the brooch on Christmas Day 1953, during her historic visit to New Zealand as part of the Commonwealth tour she undertook at the start of her reign. The gift, apparently, delighted the Queen and was presented to her by Lady Allum, the wife of the Mayor of Auckland, on behalf of the women of New Zealand. 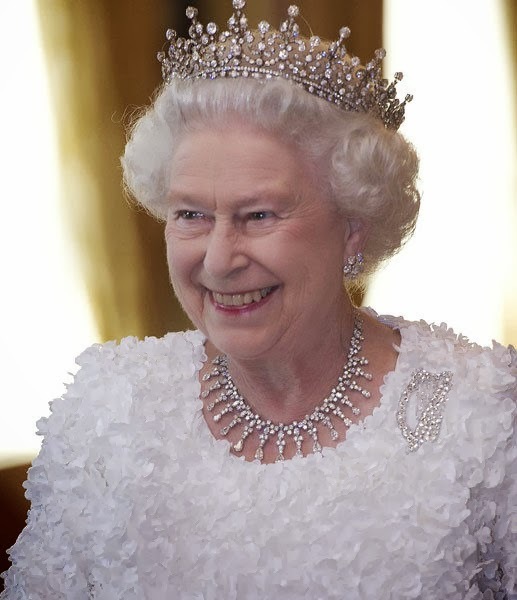 ...and in the official portrait wearing her New Zealand honours taken to mark her 60th Jubilee (photo NewsTalkZB). But the piece with a New Zealand connection I'm more excited about is a brand-new addition to the Queen's collection and was presented to her as a personal gift by New Zealand Prime Minister John Key at the start of his sojurn in Balmoral in September 2013. Photo via @Monarchynz on Twitter. 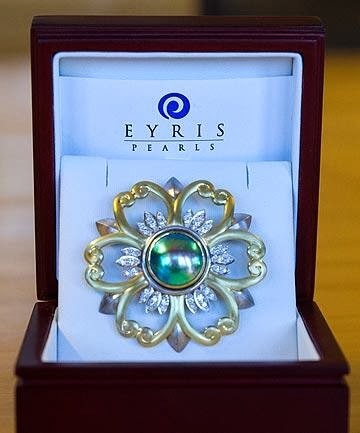 Made by Eyris Pearls, a Christchurch-based firm specializing in jewels featuring blue pearls, it has a very modern design, featuring a large central blue pearl set in mixed-metal geometric flower design and what seem to be diamond accents. As it was presented so recently, I've only been able to find out a single public occasion in which it has been worn, a reception at Buckingham Palace held on 28 October 2013 to mark the forthcoming Commonwealth Heads of Government Meeting in Sri Lanka. 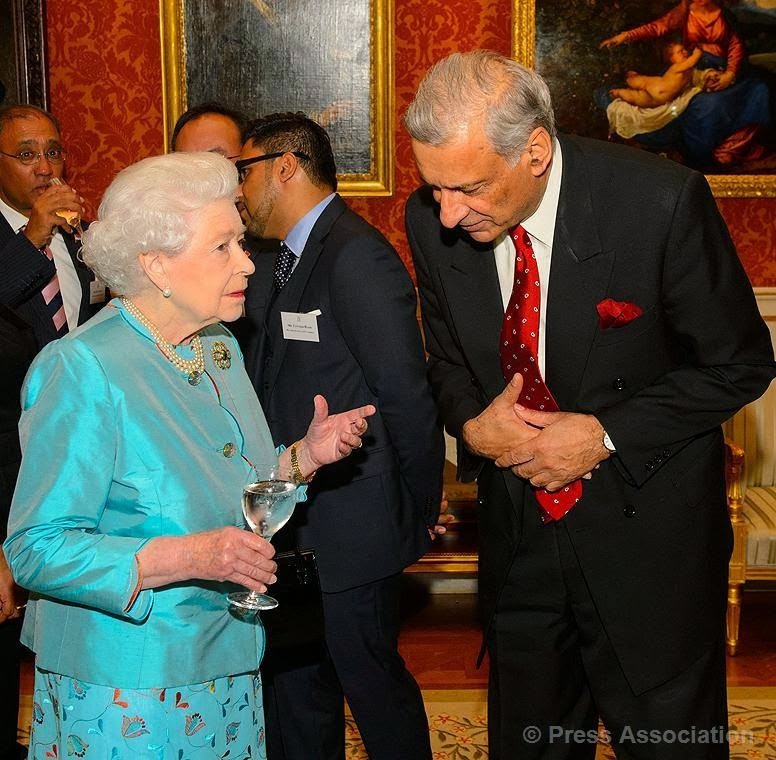 The Queen with Commonwealth Secretary General Kamalesh Sharma at Buckingham Palace - if you look closely you can just make out the brooch (photo via The British Monarchy on Facebook). This is very modern in design, and a piece that I can definitely see lent to the Duchess for the tour. The Silver-Fern and Australian Wattle brooches are of course stunning pieces, but definitely require to be pinned to some heavy cloth material to prevent sagging, and we haven't seen the Duchess wearing really substantial jewelry pieces so far execpt on very special and far-apart occasions (I'm thinking about the Maple Leaf brooch worn on Canada Day in 2011 and the Papyrus tiara she debuted in December 2013 at the Diplomatic Reception at Buckingham Palace). Maybe we'll see the Blue Pearl brooch and the Australian Wattle? 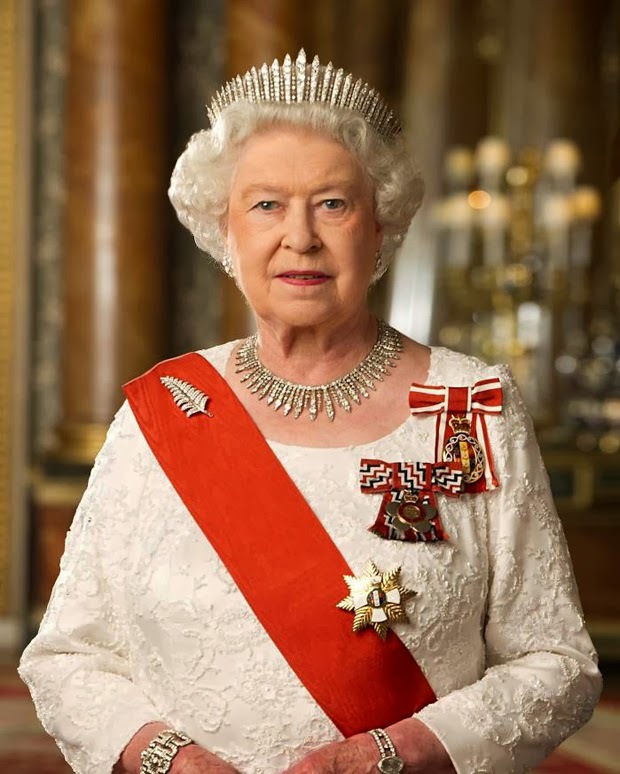 I just cannot see her going on a tour of two Commonwealth countries and only paying a jewelry homage to one of them, so for me it'll definitely be a question of both or none. 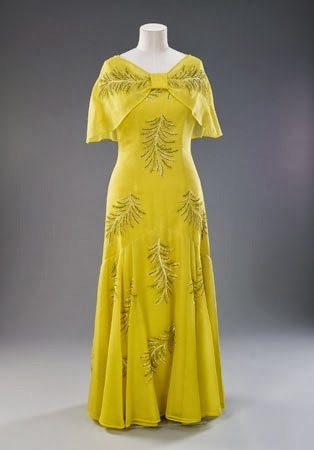 Or maybe she'll choose to pay a sartorial homage, following once again in the footsteps of the Queen, who wore a (rather garish, if I may say so...) yellow silk evening gown by Ian Thomas, embroidered with wattle sprigs on her 1974 visit to Australia.